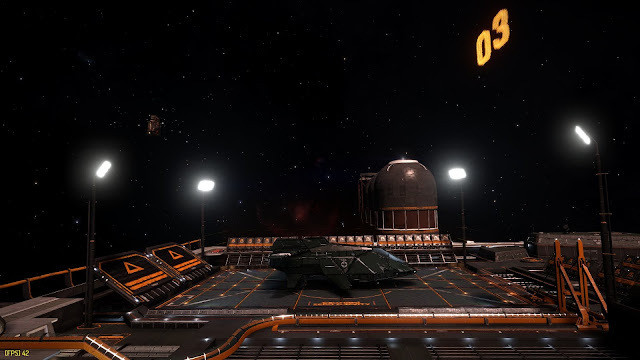 Red3 Standing by...: Been to Hutton Orbital - Got the Mug! Been to Hutton Orbital - Got the Mug! I did a crazy thing yesterday. I took a data transfer mission to Hutton Orbital in the Alpha Centauri system. What's so crazy about that? Well, Hutton Orbital is 0.22ly from the system arrival point. That's 6,784,404 ls! In game it takes over 2 hours. Why would one suffer such an arduous journey? 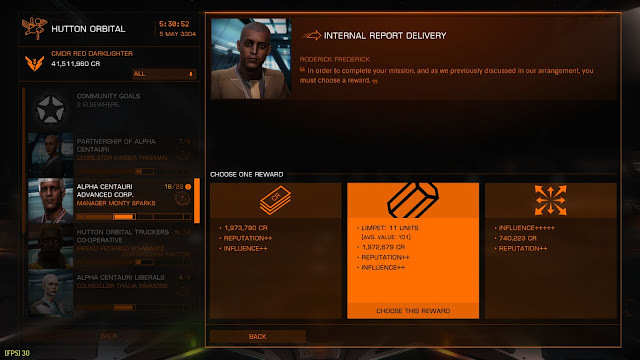 Data delivery missions usually fetch only a few thousand credits. But they are multiplied by distance. A data mission to Hutton Orbital pays over 1 million credits! So hold on to your seat and prepare for the journey. 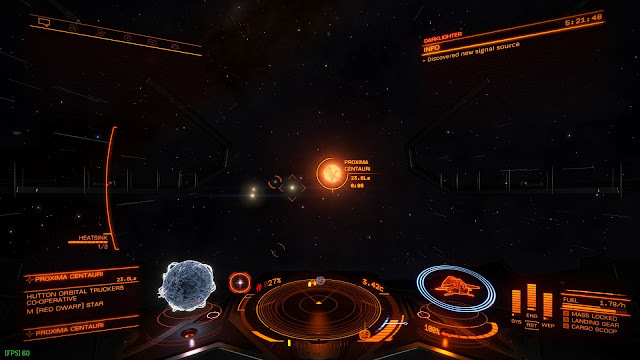 Hutton Orbital is satellite to Eden, sole planet of Proxima Centauri. 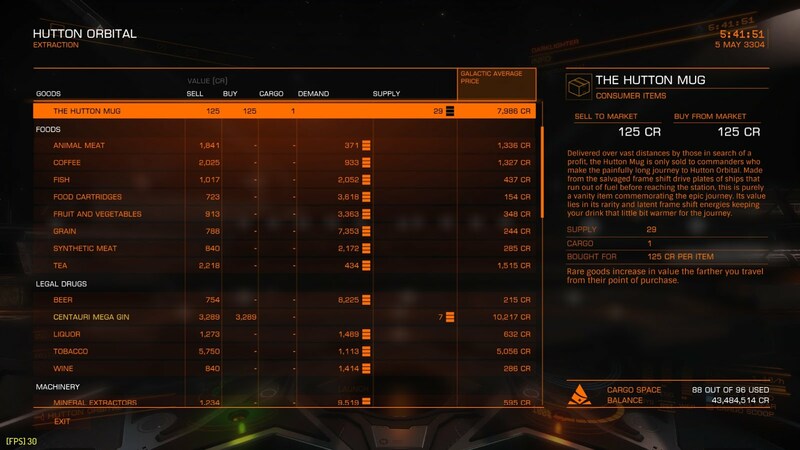 Make sure you check out the Commodities Market for a prize - The Hutton Mug! A rare commodity, it will only cost a few credits, but will multiply in value the further you travel from its source. Getting the Mug got me thinking. Do I want to lose the mug? It's an achievement; a trophy. Shouldn't I be able to record my achievements somewhere? As soon as I sell it, it's gone, sold and forgotten. Having achievements like this would give more sense of ambition and achivement in the game. And maybe the game could at least hint of the achievements possible. And what if it could lead you on a quest? I'd like to see a graphic of the mug. I'd like to examine the mug and find a clue on it. Maybe it could lead me to a specific place or individual who could tell me of other achievements in the game. Hidden locations, places of special interest, mysterious objects which could enhance my ship's capabilities or how to get special permits for locked systems. We have a vast sandbox here, c'mon Frontier, bury some treasure in it!